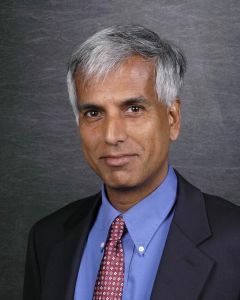 Sridhar Narayan is professor of computer science in the Department of Computer Science at the University of North Carolina Wilmington. He received his M.S. and Ph.D. degrees in Computer Science from Clemson University. He also holds an M.S. in Mechanical Engineering from Clemson University and the B.Tech degree in Mechanical Engineering from the Indian Institute of Technology, Madras, India. Dr. Narayan's research interests are primarily in the area of computational intelligence: neural networks, genetic algorithms, and their applications. He also has an active interest in OO technology and in introducing learners of all ages to the joys of computer programming. His research publications span these areas, and he has served as the PI or Co-PI on related grants funded by the National Science Foundation, and NC Quest.